Posted in Consumer, Digital, Retail, User Experience Design. Tagged Alexa, Amazon, Digital, Retail, Virtual Assistant. Mobile mind shift has created newer opportunities for Marketers to respond to the glanceable moment offered by Smartwatch screen views. According to research by Forrester, as high as 10 percent US respondents use a daily fitness tracker and as high as 45 percent are intrigued by the prospect of getting a Smartwatch. A Smartwatch experience is seen by the users, as a step ahead of the Smartphones experience as the Smartwatch glanceable moments, make it easier to access and personal than accessing the phone that is seen to be more cumbersome. Urban Airship with Forrester has shared insights from research that can help you design your Smartwatch App Experience and chalk out your Brand’s Smartwatch App Engagement Strategy. Glanceable moments offer a window of 3 seconds for engaging your customer. Thus designing a Smartwatch experience is different from a Mobile App Use Case. To get the Smartwatch experience right it has to be seen as how well it can help the user to do something that helps them do ” The Next thing”. It is based on the predictive behavior where the information pushed to the user is actionable in 3 seconds as opposed to 10 seconds to 30 seconds available for Mobile phone use case. 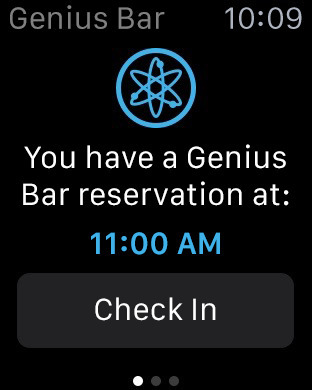 Thus designing use case by giving timely notification makes the experience more meaningful in a glance. Starbucks App serves notification at the time of placing an order advising the user of the earned rewards. Apple Store App notifications can let you connect with reminders and updates on shipping deliveries. Posted in Digital, Insights, User Experience Design, Wearables. 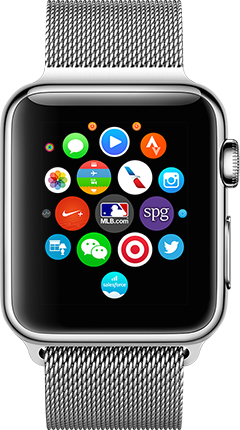 Tagged Apple Watch, Apps, Digital, Digital Trends, Insights, Smartwatch, Wearables.